Children learn to participate, show mutual respect and cooperate through a wide range of sports such as hockey, football and table tennis, often culminating in local tournaments and of course our summer Sports Day. Personal qualities and creativity and are developed through dance, computing and choir, with opportunities to shine in public performances. 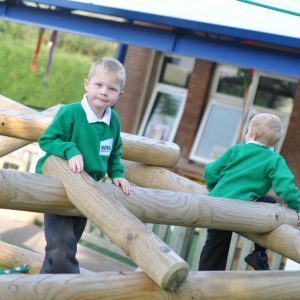 Lunchtime Club runs daily and provides a more structured, supportive play environment for children who may find outside playtimes challenging. A sense of community is fostered through our breakfast club, where families are invited to share a balanced meal. This helps to give children a healthy, happy start to the day. This commitment to healthy eating is strengthened through our weekly cookery club too. Where places are limited for these activities, we change groupings for clubs termly. We also offer violin lessons and more recently, drum lessons. Pupil Premium children receive a 50% reduction in any costs. Children love assemblies because they unite us in sharing our school values and initiatives. The Senior Leadership Team begin the week with inspirational presentations based on themes such as learning behaviour, journeys or current affairs. We also get together to celebrate our many achievements- in and out of school on Fridays. Certificates for academic success, Learning Behaviour (ELLI) and Rights Respecting Behaviour are shared, as is attendance. In class assemblies, reflection and discussion about moral and ethical issues are on a more personal level and encourage everyone to participate and respond. Singing occurs in class once a week with songs exploring faith, diversity and the wonder of life, and children show passion and energy through this form of expression, culminating in a school ‘Sing-Off’ at the end of each term. We are fortunate to have clergy or other outside visitors every Wednesday which add another dimension to the children’s spiritual development. Of course, our Nova Curriculum reflects the new National Curriculum, but its design was a careful process of consultation with children and teachers. Its aim was to speak volumes about the school and its identity, with SMSC development and British Values at its heart. Lines of Enquiry were selected to encompass a range of local and global themes, with particular reference to the rights of children worldwide. For example, in exploring materials in science, Year Two look at how parks are built, leading them to question how community play is (or isn’t) provided in other parts of the world. 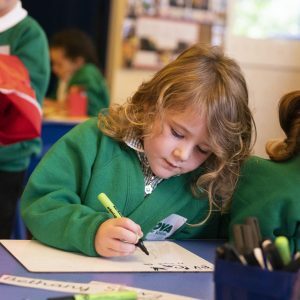 After a ‘launch’ to set the enquiry off and engage the children’s fascination, pupil voice is sought to guide the learning for each enquiry and a ‘landing’ takes place at the end of term to celebrate achievement and new learning. 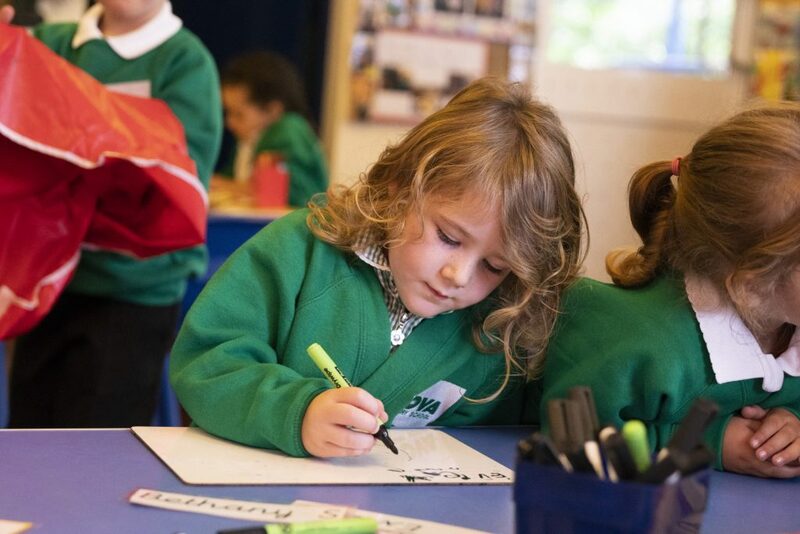 PSHE/RSE/RE PSHE has been re-launched this term with a fresh new overview that unites all our THRIVE, Rights Respecting, ELLI (learning behaviour) work, with new thinking about the breadth and quantity of PSHE teaching. 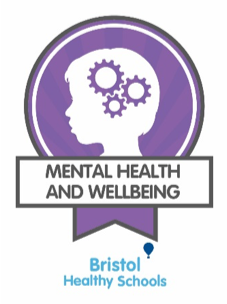 Through a combination of well-planned sessions and an ethos that places PSHE at the heart of the curriculum, children learn how they can achieve health, happiness and well-being, both in terms of the choices they make throughout life and the relationships they form. Issues relating to politics, finance and law are studied, preparing them for life in modern Britain, and prejudices and potentially dangerous belief systems are opened up for debate. RSE gets a whole term to itself and the emphasis is strongly on accurate, useful information, alongside opportunities to explore healthy relationships. Parents are supported with RSE too and were heavily consulted in devising the programme. RE follows the local syllabus, but as we were conscious that it seemed to be getting lost in a packed curriculum, it also gets its own term, as well as being taught throughout the year. We teach children ABOUT religions and faiths, but also encourage them to reflect and learn from them. A broad study in November, narrows down to a whole week on Christianity and the true meaning of Christmas. Fundraising Ask anyone at Nova Primary and they will tell you how generous and caring children are. Already this year we have supported Children in Need, Bristol Children’s Hospital and Comic Relief. Aware of the financial restraints on families, but with the knowledge that children want to help others, we carefully select fundraising opportunities that get children thinking about fairness, diversity and the challenges of life that so many experience. Our Rights Respecting Council are the brains behind fundraising and this undoubtedly adds to the level of participation of all children and their families. The assemblies that accompany each challenge are designed to make fundraising fun and exciting, but we never forget to educate the children about how their small donations make a big difference all over the world. In addition, some children bring individual requests for charities that resonate with their lives- we aim to help them achieve their goals. Children were adamant in our curriculum consultation; they wanted MORE trips! We believe that well-chosen trips can have an enormous impact on children’s levels of awe and wonder. They develop social skills and inspire new learning. We aim for every class to participate in three such activities per year- and some are exceeding this. These should include a trip to the locality, a more ambitious experience relating to Curriculum and a place of worship, the latter being essential to our commitment to educate children about spiritual and cultural activities . Pupil premium children receive a 50% reduction, and each year group has a budget to assist with this. We are proud to be a Thrive School and this year, we want it to have an even bigger impact on the SMSC development in our school. Thrive recognises that some children have missed the experiences in life they need to be emotionally secure. It gives adults the strategies to support children to fill these gaps- whether it be a difficulty in managing anger, or difficulty in asserting themselves in friendships. Our trained practitioners work with children, creating trusting relationships which enable them to open up and find ways to communicate and manage their feelings, in our special THRIVE room. An E-safety Council to keep us as safe as possible on-line All members must be voted in democratically and present their manifesto to the whole class. Rights Respecting Schools Award Nova has used the language of UNICEF’s fantastic award for some time and this year we received our ‘Recognition of Commitment’. The three main elements of the award are evident wherever you go. We have a global outlook children learn about children around the world and in particular about our Ugandan link school.